Henry Rzepa, Department of Chemistry, Imperial College. Whilst the origin of the modern industrial revolution is often traced to the Ironbridge Gorge northwest of Birmingham in the UK, less credit is given to one of the birthplaces of the modern organic chemical industry. William Henry Perkin (1838-1907) who at the age of 18 in the year 1856 had set out with idea of making quinine (C20H24N2O2) by oxidising allytoluidine (C10H13N), had accidentally produced instead the first ever synthetic dye aniline purple, better known as mauveine. The actual formula of the two principal components is C26H23N4+X -/ C27H25N4+X - X= sulphate, acetate, chloride and the chemical name is e.g. 3-amino-2,9-dimethyl-5-phenyl-7-(p-tolylamino)phenazinium acetate. It is worth noting that the molecular structures of few compounds were known with certainty at this time. Even the tetravalency of carbon was not common knowledge at this time, having been suggested by Kekule only in 1857, and by William Odling a little earlier. Loschmidt in 1861 then published structures for about 250 molecules known at the time. Many of these suggestions are now recognised as corresponding precisely to the modern formulae. The list includes a number of 1,3,5-triazenes, which are represented in the modern cyclohexatriene manner of benzene, and of course are structurally not dissimilar to the central mauveine ring system. Loschmidt's structures predate Kekule's benzene structure by four years. Perkin set up a factory (Perkin and Sons) on the banks of the Grand Union, then the Grand Junction Canal, in 1857 to produce mauveine. This small dyeworks was located on a 6-acre site just south of the Black Horse public House, in Greenford, West London. This pub survives to this day, and remains a "local" for the pharmaceutical giant, Glaxo SmithKline, which had its world headquarters nearby. 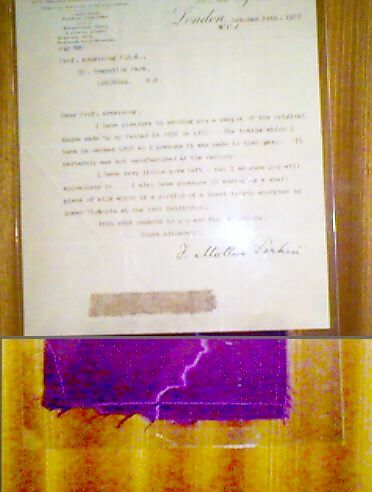 The new colour fell of of fashion in the late 1860s, but out of one of the world's first chemistry "R&D" laboratories, Perkin discovered two new dyes, Britannia Violet and Perkin's Green. The water in the nearby Grand Union Canal was said to have turned a different colour every week- depending on what dyes were being made at the time. In 1869, Perkin synthesised the vivid natural red dye called Alizarin, known chemically as sodium 9,10-dihydro-3,4-dihydroxy-9,10-dioxoanthracene-2-sulfonate. The German company BASF beat him to the patenting process by one day! Perkin and BASF came to an agreement over the manufacturing processes. Perkin would sell Alizarin to Britain, some 400 tons a year, BASF to the rest of the world, but the heyday of synthetic dye manufacturing in Greenford was now waning, allegedly because British universities were not producing sufficient numbers of chemists for the constant innovation now required in the dye industry. 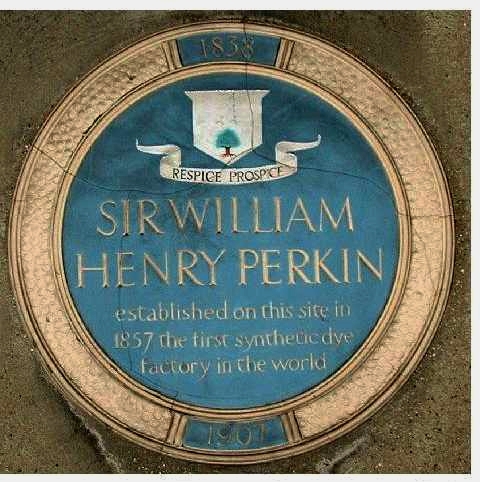 In 1874, Perkin sold his dyeworks to Brooke, Simpson and Spiller. It continued operation under its new owners only until 1876, when it was sold to the tar makers Burt, Boulton and Haywood, the dye operations of which joined the British Alizarine Company. This in turn became part of ICI in 1931, and in more modern times became known as Zeneca, a company which can claim to be the successor of Perkin. Nowadays in Manchester, there remains a significant collection of interesting chemicals and other Perkin artefacts, although they are not on permanent public view. Other samples, including the original mauveine made by Perkin are located in the Science Museum, London, just next to Imperial College, and in the College archives themselves. 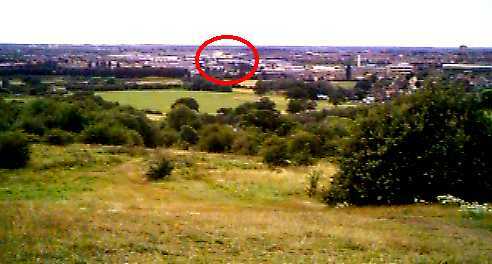 Parts of the original Greenford buildings survived until the centenary celebrations in 1957, and the last traces were demolished as recently as 1976, the only remaining sign being the blue plaque erected on the buildings now there. 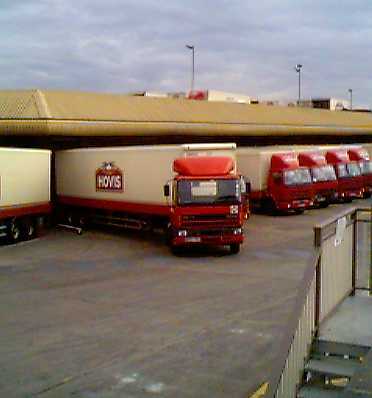 Nowadays, the site of the laboratory for Perkin's dyeworks serves as a distribution point for millions of loaves of bread and rolls for West London. 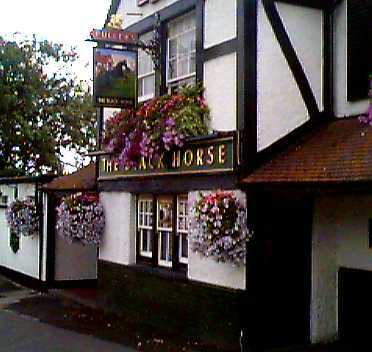 The Black Horse pub itself has recently been refurbished, and one can take a pleasure cruise along the Grand Union canal starting from the pub. 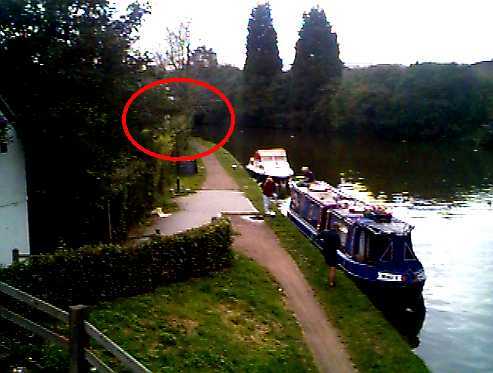 The east-bound cruise can take you to "Little Venice", in Paddington, which is about 3kmn north of Imperial College. 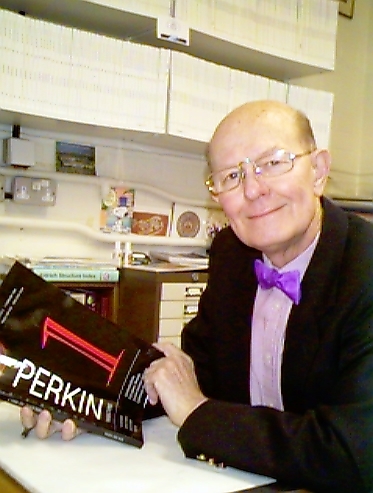 After he retired in 1874, Perkin continued research in organic chemistry, discovering the "Perkin Reaction", and perhaps most significantly, synthesising coumarin, which formed the basis of the synthetic perfume industry. He published some 60 research papers during this period, most of them in the Journal of the Chemical Society. There is an interesting chemical postscript to the story of Mauveine. Essentially, its synthesis was remarkable because it was based on a one-pot (dichromate) oxidation of a simple (mixture) of aromatic (methyl)anilines, which are simple organic bases. Such bases are peculiarly prone to producing intriguing products in apparently simple reactions. Scorpionine was made recently in Charles Rees' group. Charles was the Hofmann Professor of Chemistry at Imperial College, and hence a successor to August Hofmann (1818-1892) who was Perkin's original supervisor and inspiration, and first professor of the Royal College of Chemistry (founded in 1845, now Imperial College) which Perkin attended. Appropriately enough Charles is wearing a bow tie dyed with what is apparently a sample of the original mauveine made by Perkin himself, and is of course holding the journal named after Perkin. Scorpionine was made from the reaction of S2Cl2 with di-isopropyl ethyl amine, and is itself another so-called heteroaromatic compound, just like mauveine. Another simple base (DABCO, or di-aza-[2.2.2]bicyclo-octane) was discovered in Henry Rzepa's group to react with Bromine to give a very odd compound containing linear chains of 7 bromine ions, the chain having an overall charge of 3-. Both Scorpionine and the DABCO/Br2 adduct are highly coloured, just like mauveine, althogh neither appears to have any utility as a dyestuff. The paper in which the correct structure was finally reported; O. Meth-Cohn and M. Smith, J. Chem. Soc., Perkin Transactions 1, 1994, 5. 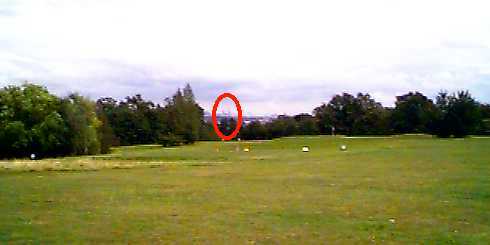 DOI: 10.1039/P19940000005. This paper revises the previously accepted structure in three ways. A methyl group is now located at the 9-position rather than the 8-position (alternative numbering; 1,8). Some extra evidence for this revised structure can in fact be inferred from an article Perkin himself wrote in 1879; W. H. Perkin, J. Chem. Soc. Trans., 1879, 717-732, DOI: 10.1039/CT8793500717. By combining "free mauveine" (we would nowadays say this was the zwitterion) with HCl, and observing the change in mass, he calculated a molecular weight of 406.7 (406.4 using modern weights); the formula C27H24N4 (using modern atomic weights) would require 404.20. This establishes with some certainty that mauveine vintage 1879 was the dimethyl form noted above. Perkin then reports that treating this substance firstly with "peroxide of lead" (this is probably PbO2) and then zinc dust, he obtains a species with formula C20H18N4 he calls parasafranine. This amounts to loss of C7H6, which corresponds to loss of the substituent at the 7-position; a substituent that can only be a p-Tolyl group (rather than a phenyl group, C6H4). This firmly contradicts the structure extant until 1994, namely that the p-Tolyl group was in the 5-position and that the 7-position carried a phenyl group. It is rather odd that no-one spotted this during the period 1879 - 1994. A small-scale synthesis of mauveine is reported by R. L. Scaccia, D. Coughlin, D. W. Ball, J. Chem. Ed, 1998, 75, 769. For a general account of the chemical history, see O. Meth-Cohn and A. S. Travis, Chemistry in Britain, 1995, 31, 547. Anthony S. Travis "The rainbow makers: the origins of the synthetic dyestuffs industry in Western Europe". Bethlehem: Lehigh UP, 1983. Henry S. Rzepa, Molecules, 1998, 3, 94-99. Mauve: "How One Man Invented a Color That Changed the World", by Simon Garfield, 2000. On line biography of Perkin, and some details of the chemistry of mauveine. I am particularly grateful to Dr Peter Morris of the Science Museum, London, for very helpful comments and corrections on the above history. (c) H. S. Rzepa, 1995, 1998, 2001, 2004, 2006, 2017, 2019.